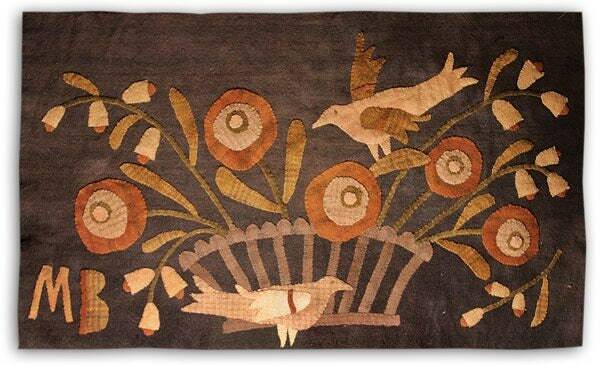 Wool Applique pattern and kit called "Garden Table-Top Basket" by Blackberry Primitives. Designed by Maggie Bonanomi . This appliqué Mat measures 18 1/2" x 31". Kit includes pattern and hand dyed wools.